Renault-Nissan CEO Carlos Ghosn wants the company to be one of the top three automakers in the world. YOKOHAMA, Japan -- Nearly two years ago, Carlos Ghosn bemoaned Nissan Motor Corp.'s lackluster performance in North America as his biggest "disappointment." Now, the CEO's fix-it man, Jose Munoz -- installed as Nissan North America chairman in January 2014 -- says the U.S. is a "powerhouse" again and the comeback is gaining speed. 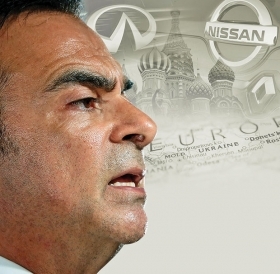 Nissan and Infiniti could achieve Ghosn's 10 percent U.S. market share goal ahead of schedule. Nissan North America is on pace to overtake rival American Honda as the No. 2 Japanese brand in the United States. Profitability, both for the factory and its dealers, is set to surge this year thanks to an influx of high-margin nameplates such as the Murano crossover, Titan pickup and Maxima sedan. What's more, the hard-charging Spaniard outlined a four-pronged capacity expansion plan to deliver the badly needed supply to make it all happen. "This region is becoming a powerhouse," said Munoz, who also is Nissan's executive vice president in charge of the Americas. "We've never been as confident as we are today." Nissan's big bet on America comes as it leans on the region's solid growth to offset slowing demand in Russia, China and Japan. Securing the 10 percent U.S. market share in the fiscal year ending March 31, 2017, is also a linchpin of Ghosn's larger target to attain 8 percent global market share by then. Last year, the combined U.S. market share of the Nissan and Infiniti brands climbed to 8.4 percent from 8.0 percent in 2013. Yet Munoz's plan for rapid growth carries risks. Skeptics, wary of a return to the bad days of buying market share, note that while Nissan's incentives are down, they are still higher than rivals'. And much of the blueprint hinges on the success of the redesigned Nissan Titan. Nissan wants the Titan to win 5 percent of the full-size pickup market. Now, it has less than 1 percent. "I don't want them to chase market share for market share's sake," said Tatsuo Yoshida, an analyst with Barclays Japan. Nissan risks sacrificing residual values, transaction prices and brand image if it moves too aggressively, he warned. "We think that Nissan faces a very tough hurdle to realize this [10 percent] goal," Yoshida wrote in a report after Munoz briefed analysts last week. "It will be important to make a decision to put priority on maintaining and improving corporate health over the near-term market share goal." Some key indicators are still weak. Nissan and Infiniti held incentives flat at $2,529 per vehicle in January from a year earlier, according to TrueCar Inc. But the spending was still higher than that of Toyota, Honda, Subaru, Hyundai and Volkswagen. Meanwhile, the brands' average transaction price rose 1 percent year on year, according to Kelley Blue Book. But that lagged the overall industry's 4.3 percent gain. Munoz says getting enough vehicles is half the battle. He has said it would be difficult to reach the 10 percent target by March 31, 2017, without added supply. But on Friday, Feb. 27, Munoz said the company can do it by tapping pockets of spare capacity in the U.S., Mexico, South Korea and Japan. "I think that we may see the 10 percent overachieved earlier than expected," Munoz said. "The key word is 'flexibility.'" More U.S. output will come through squeezing extra productivity out of Nissan's plants in Smyrna, Tenn., and Canton, Miss. New capacity in Brazil also has eased pressure on Mexico to supply Latin America, freeing volume for the U.S., he said. Nissan has already increased production of the popular Rogue crossover in South Korea for the United States. And the next move will be tapping the vast underused capacity in Japan. In recent years, while the yen appreciated against the dollar and other foreign currencies, Nissan moved much of its domestic production overseas. Now that the yen has weakened again, prospects improve for Japanese exports. Nissan's Oppama assembly plant south of Yokohama, for instance, has two lines. One is idle and can be switched on quickly. "We have already started to work diligently on how we can capitalize on the available capacity in Japan for North America," Munoz said. "The sourcing opportunities are nearly endless. Almost everything we need, we can get from Japan." Munoz cited the Sentra small car and the Rogue and Pathfinder crossovers as nameplates short on capacity. Another lofty goal in Munoz's sights: Boosting North American operating profit margin to at least 8 percent. That will come through a new generation of redesigned, high-margin products. "Now we are going to enjoy growth in segments which are naturally more profitable for us," Munoz said, citing the Titan, Murano, Maxima and Rogue. For the first three fiscal quarters ended Dec. 31, 2014, Nissan says its North American operating profit margin was 5.4 percent. The year before, it was 2.5 percent. That all translates into more cash for dealers. Sales per outlet, Munoz said, rose 27 percent to 982 vehicles from 2012 to 2014. Average dealer net profit climbed 29 percent in that time. Nissan finished 2014 with record U.S. sales of nearly 1.4 million vehicles. In January, Nissan North America's sales climbed 15 percent. That beat the overall market's 14 percent gain and lifted the company's market share to 9 percent. More important, it also pushed Nissan ahead of Honda. 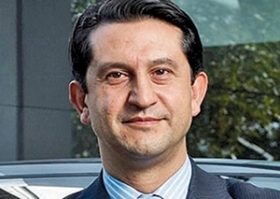 That is a sign of things to come, Munoz promised, thanks to improved designs, a wider supply pipeline and better products in big segments such as pickups and crossovers. There are only two major markets worldwide in which Nissan trails smaller Honda in sales: the United States and Japan. "Are we going to overtake them? Yes, no doubt," Munoz said. "And by overtaking them, I'm not meaning just one month. Overtaking them meaning consistently, steadily every month." He pledged: "It will happen."